Avery Fisher Prize-winner Gil Shaham is one of the foremost violinists of our time, whose combination of flawless technique with inimitable warmth and generosity of spirit has solidified his legacy as an American master. Named Musical America’s “Instrumentalist of the Year,” he is sought after throughout the world for concerto appearances with leading orchestras and conductors, and regularly gives recitals and ensemble appearances on the great concert stages and at the most prestigious festivals. 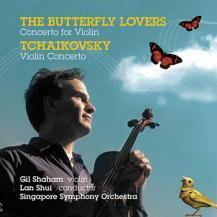 The 2013-2014 season sees Shaham return to one of his signature works, reprising his “brilliant, almost ecstatic performance” (Los Angeles Times) of Korngold’s Violin Concerto with Zubin Mehta and the Vienna Philharmonic at Carnegie Hall, as well as with the Cleveland Orchestra during its annual Miami residency; John Adams and the Houston Symphony; James Conlon conducting the National Symphony; the symphony orchestras of St. Louis and Austin; and France’s Orchestre de Paris. 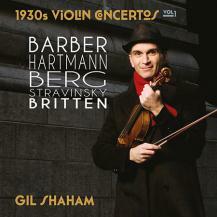 He also takes his long-term exploration of “Violin Concertos of the 1930s” – recognized by Musical America as “one of the most imaginative programming concepts in years”, the first CD release set for release on his label Canary Classics in March 2014 and will include concertos by Barber, Berg, Hartmann, Stravinsky and Britten. This season he has scheduled performances of Bartók’s second with the Los Angeles and Atlanta symphonies, Prokofiev’s second with Michael Tilson Thomas and the San Francisco Symphony, Barber’s Violin Concerto with the Louisiana Philharmonic and Mexico National Symphony, and Berg’s with the Berlin Radio Symphony and the Bavarian Radio Symphony in Munich, Paris, and at Carnegie Hall. With the symphony orchestras of Detroit, Singapore, and London’s BBC, Shaham gives the world, Asian, and European premieres of a new concerto by Bright Sheng. His other upcoming orchestral collaborations include dates with his longtime friend and musical partner John Williams at the Chicago Symphony. In anticipation of his next recording project, the master violinist also returns to Bach’s Sonatas and Partitas for solo violin, taking his singular approach to these beloved works to Baltimore, Cleveland, and Italy’s Florence and Rome. 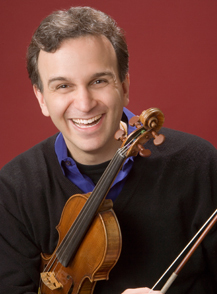 Shaham kicked off the 2012-13 season with a summer of appearances at Aspen, Tanglewood, Caramoor, the Blossom Music Festival, and the Hollywood Bowl. He went on to play “Violin Concertos of the 1930s” by Barber, Berg, Stravinsky, Britten, Bartók, and Prokofiev with the orchestras of New York, Chicago, Boston, San Francisco, Baltimore, Kansas City, Montreal, the Orchestre de Paris, and Japan’s NHK Symphony. He also returned to repertory favorites with renditions of the Brahms concerto with the Los Angeles Philharmonic, Philadelphia Orchestra, and Cincinnati Symphony; the Beethoven with the symphony orchestras of Boston and St. Louis; and Mozart’s “Turkish” with the Seattle, Pittsburgh, and Toronto symphonies. During recital tours in the U.S., Europe, and Japan, the American master gave the world premiere of a solo suite written for him by William Bolcom, and pioneered recent commissions by Avner Dorman and Julian Milone. 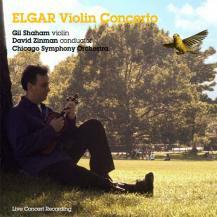 Gil Shaham already has more than two dozen concerto and solo CDs to his name, including bestsellers that have appeared on record charts in the U.S. and abroad. 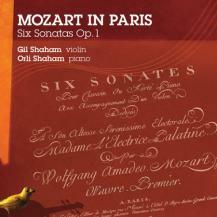 These recordings have earned prestigious awards, including multiple Grammys, a Grand Prix du Disque, Diapason d’Or, and Gramophone Editor’s Choice. 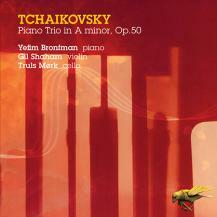 His recent recordings are produced on the Canary Classics label, which he founded in 2004. 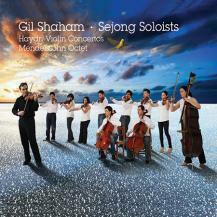 They comprise Haydn Violin Concertos and Mendelssohn’s Octet with Sejong Soloists; Sarasate: Virtuoso Violin Works with Adele Anthony, Akira Eguchi and Orquesta Sinfónica de Castilla y León; Elgar’s Violin Concerto with the Chicago Symphony Orchestra and David Zinman; The Butterfly Lovers and Tchaikovsky’s Violin Concerto with the Singapore Symphony; Tchaikovsky’s Piano Trio in A with Yefim Bronfman and cellist Truls Mork; The Prokofiev Album and Mozart in Paris, both with Orli Shaham; and The Fauré Album with Akira Eguchi and cellist Brinton Smith. Upcoming titles include Bach’s complete works for solo violin and several installments of the “Violin Concertos of the 1930s” project. 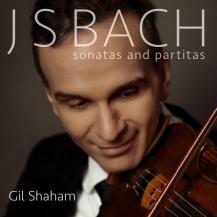 Gil Shaham was born in Champaign-Urbana, Illinois, in 1971. He moved with his parents to Israel, where he began violin studies with Samuel Bernstein of the Rubin Academy of Music at the age of seven, receiving annual scholarships from the America-Israel Cultural Foundation. In 1981, while studying with Haim Taub in Jerusalem, he made debuts with the Jerusalem Symphony and the Israel Philharmonic. That same year he began his studies with Dorothy DeLay and Jens Ellermann at Aspen. In 1982, after taking first prize in Israel’s Claremont Competition, he became a scholarship student at Juilliard, where he worked with DeLay and Hyo Kang. He also studied at Columbia University. 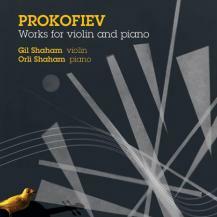 Shaham was awarded an Avery Fisher Career Grant in 1990, and in 2008 he received the coveted Avery Fisher Prize. In 2012, he was named “Instrumentalist of the Year” by Musical America, which cited the “special kind of humanism” with which his performances are imbued. 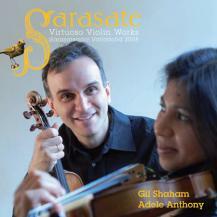 Shaham plays the 1699 “Countess Polignac” Stradivarius, and lives in New York City with his wife, violinist Adele Anthony, and their three children.